After completion of the West Coast Swing last weekend at Auto Club Speedway in Fontana, Calif., the Monster Energy NASCAR Cup Series is back east this weekend for Sunday’s STP 500 at Martinsville (Va.) Speedway. It’s the first short-track race of the season and the sixth race, overall, of 2019. 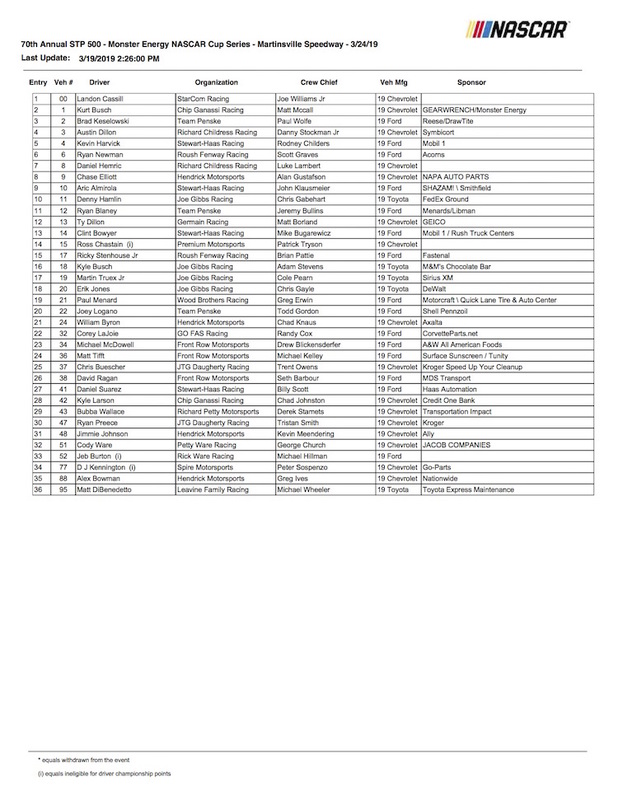 Thirty-six drivers/teams are on the entry list for Sunday’s race, including defending STP 500 winner Clint Bowyer and most recent Cup Series winner at Martinsville, Joey Logano. 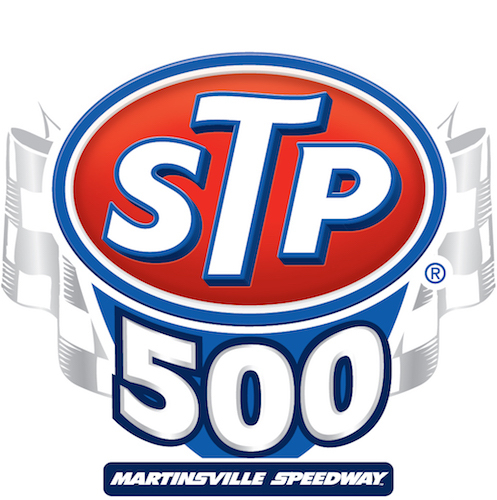 Qualifying to set the starting order of the STP 500 is scheduled for 4:10 p.m. ET Saturday, with the race scheduled for an approximate 2 p.m. green flag Sunday. Both qualifying and the race may be seen live on FOX Sports 1.